We have reached the final table of the $365 No-Limit Hold 'em Turbo event at the Foxwoods Circuit. The blinds are currently 6,000-12,000 with a 2,000 ante. YouTube video: Aaron Massey Wins the WSOP Circuit $580 Six-Max Event! 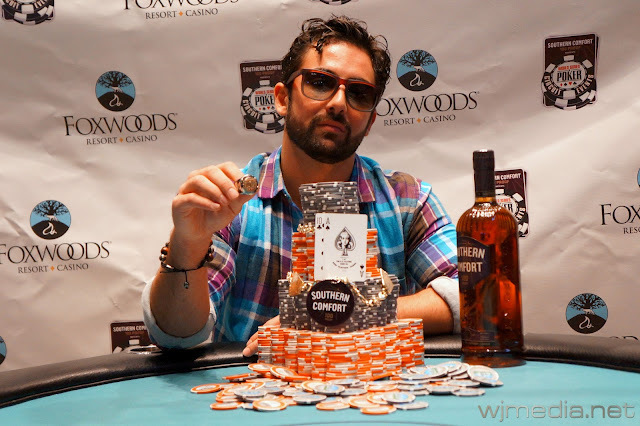 Aaron Massey wins the WSOP Circuit $580 No-Limit Hold 'em Six-Max event at the Foxwoods Resort Casino. This is Massey's second Circuit Ring. Aaron Massey, winner of the $580 No-Limit Hold 'em Six-Max event. Congratulations to Aaron Massey, winner of the $580 No-Limit Hold 'em Six-Max event at the WSOP Circuit. 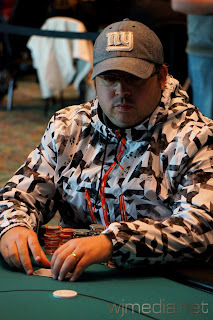 For his victory, Massey takes home his second WSOP Circuit Ring and $24,857. Julio Martini has been eliminated from the $580 No-Limit Hold 'em Six-Max event in second place for $15,367. 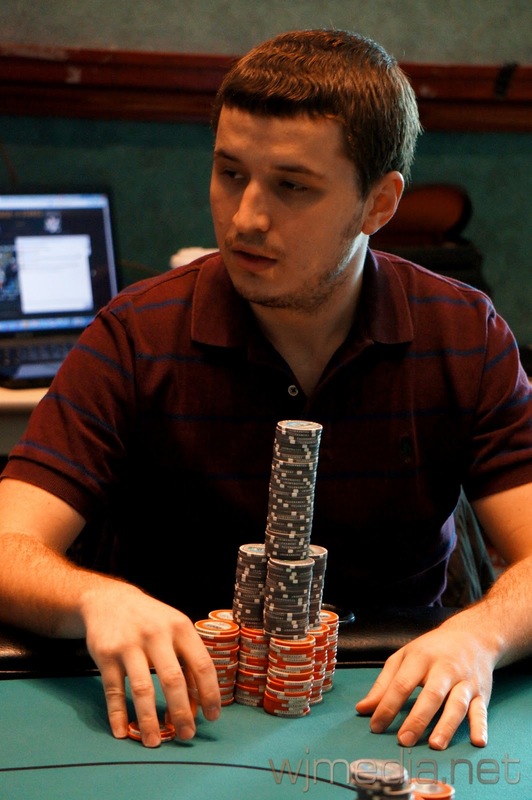 Stephen Hesse gets all-in before the flop against Julio Martini. The board runs out [Jh][Ts][4c][Ac][7s] and Martini improves to a set of fours. Stephen Hesse is eliminated in 3rd place for $11,035. 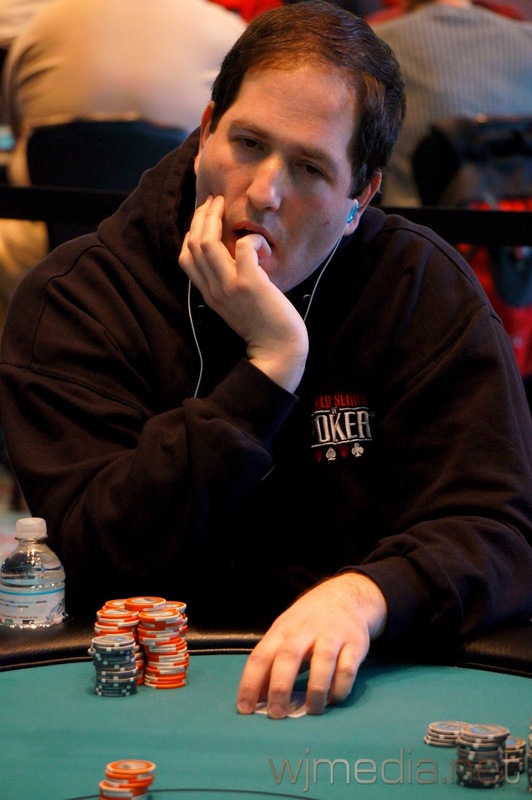 Adam Lippert gets all-in before the flop against Stephen Hesse. The board runs out [As][Qh][2c][7h][8d] and Hesse pairs his ace to win the pot. Adam Lippert is eliminated in 4th place, taking home $7,927. Jerry Stecher moves all-in and is called by Aaron Massey. 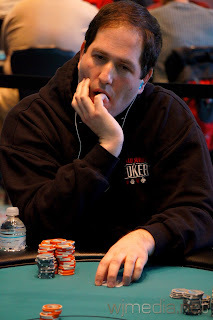 The board runs out [9d][6c][5c][2s][4h] and Massey takes the pot with his pair of kings. 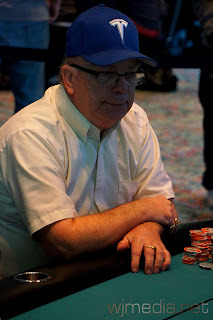 Jerry Stecher is eliminated in 5th place from the $580 No-Limit Hold 'em Six-Max event for $5,699. $580 Six-Max Final Table Chip Counts. Now Streaming Live! We have reached the final table of the $580 No-Limit Hold 'em Six-Max event. You can watch the live feed of the final table by clicking on FoxwoodsLive.com. Day 2 of the $580 Six-Max Now Streaming Live! Day 2 of the $580 No-Limit Hold 'em event is now streaming live. You can watch the live stream by clicking on FoxwoodsLive.com. We had a total of 241 players in the $365 No-Limit Hold 'em Turbo event creating a prize pool of $72,469. The final 27 players will finish in the money. Event 9 at the Foxwoods World Series of Poker Circuit Series, the $365 No-Limit Hold 'em Turbo, is now underway. Players start with 10,000 in chips and the levels are 20 minutes in length. There are already over 200 players in today's field.